Anuj Khanna is a highly respected Fintech industry influencer and expert in cryptocurrencies and has developed relationships with large communities of Blockchain, Crypto, Private Equity and ICO investors. 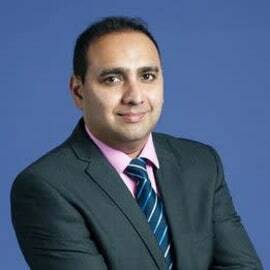 Anuj Khanna is the CEO of London based Peak State Consulting and is an advisory board member of leading tech companies. For the past two decades, Anuj has been helping over 50 high-tech businesses to achieve success, enjoy exponential growth and reach their Peak State. Anuj completed his MBA in Marketing from The University of Sheffield and is an Economics graduate from the University of Mumbai. and reports over the last 20 years.